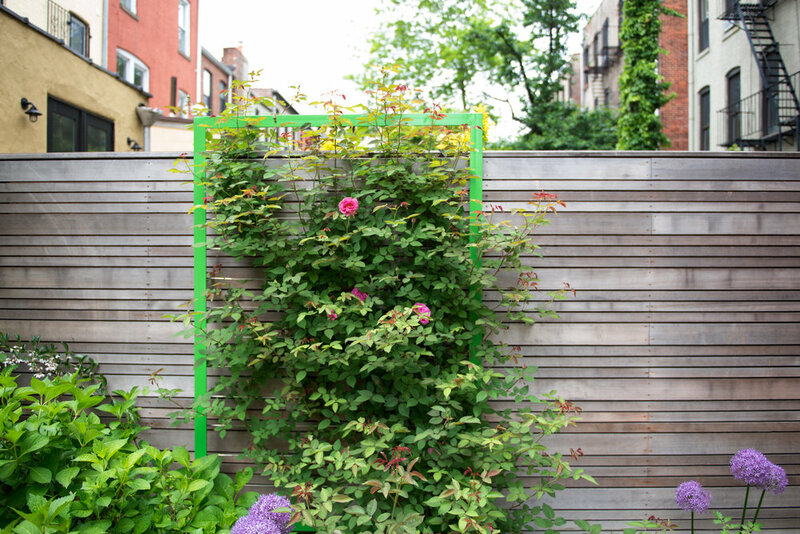 This north facing garden is located behind a Park Slope, Brooklyn brownstone that was recently renovated. We designed new fences, paving, planting and a custom pergola and bench. The garden has a stone paved area adjacent to the building for dining and a pergola with stone paving at the far end of the garden looking back toward the house. Wood walks bridge a central planted area and the bench is flanked by a green framed metal and wire trellis embellished with a climbing rose.